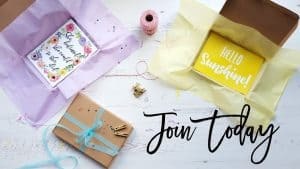 Home Reviews Treatbox – May 2017: The Best Box So Far? Treatbox – May 2017: The Best Box So Far? The time of the month when my Treatbox arrives is a very exciting time as I adore their boxes and this one is definitely my favourite so far! 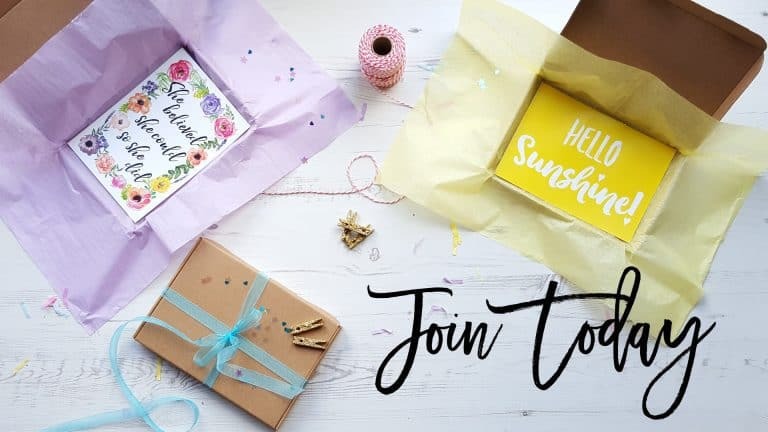 The box can fit through letter boxes which is fantastic so you don’t have to be at home for your box of goodies to be delivered unlike most other subscription boxes. 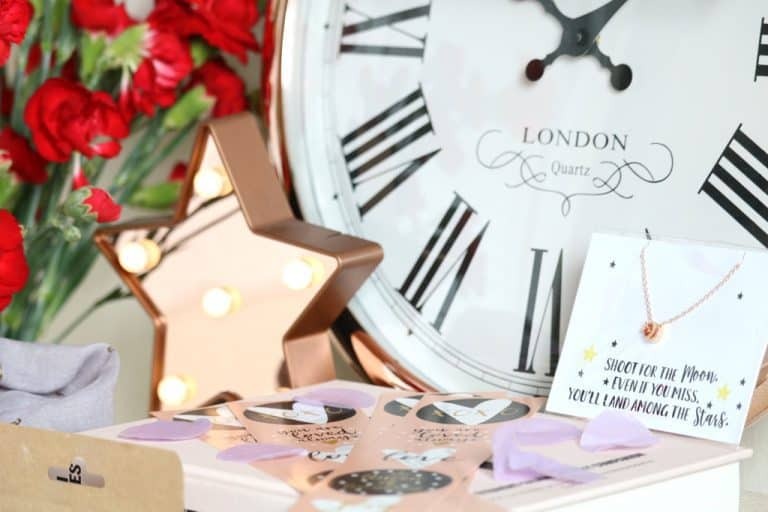 Also unlike other boxes which are usually focused on one category such as food, beauty or crafting, for example, this one features a range of products from pampering and relaxation products to stationery, lifestyle and home items as well as snacks and accessories. I always love the range of items in each box; the boxes are so well curated. Let’s start with my favourite item from the May Treatbox which are these adorable stickers from Hammond Gower. The pack contains 24 stickers and my favourite is obviously the ‘bear hug’ sticker which is so cute! 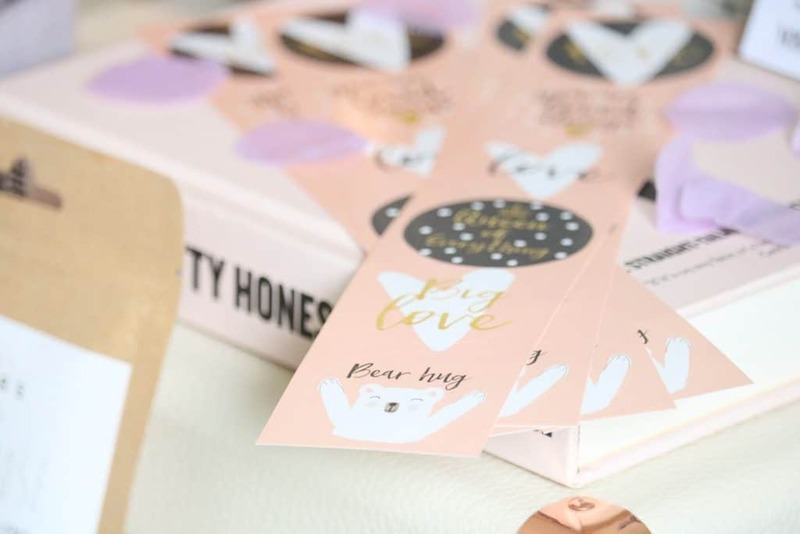 The second stationery item is a set of ten mini postcards all of which are beautifully but simply designed and feature positive, uplifting and inspiring messages. The final stationery themed item is another beautiful print which is a stunning floral illustrated ‘home’ print created by the illustrator Simona Matuozzo. Now onto the one home item in this months box; it’s a gorgeous glass hanging plaque which comes in two different designs/quotes. 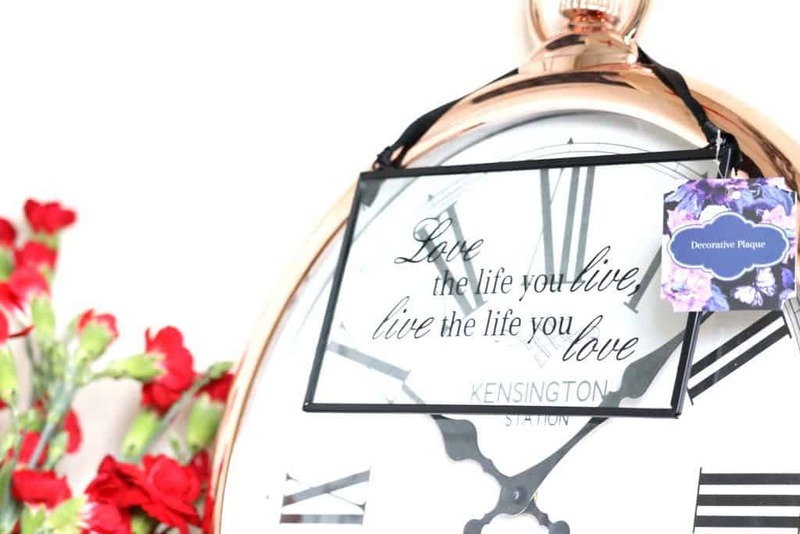 I received the ‘love the life you live, live the life you love’ printed onto the glass. This item isn’t personally my interior/decor style but I think it will appeal to a lot of people! As I’m first and foremost a beauty blogger, I’m always interested in the beauty product included in the boxes. 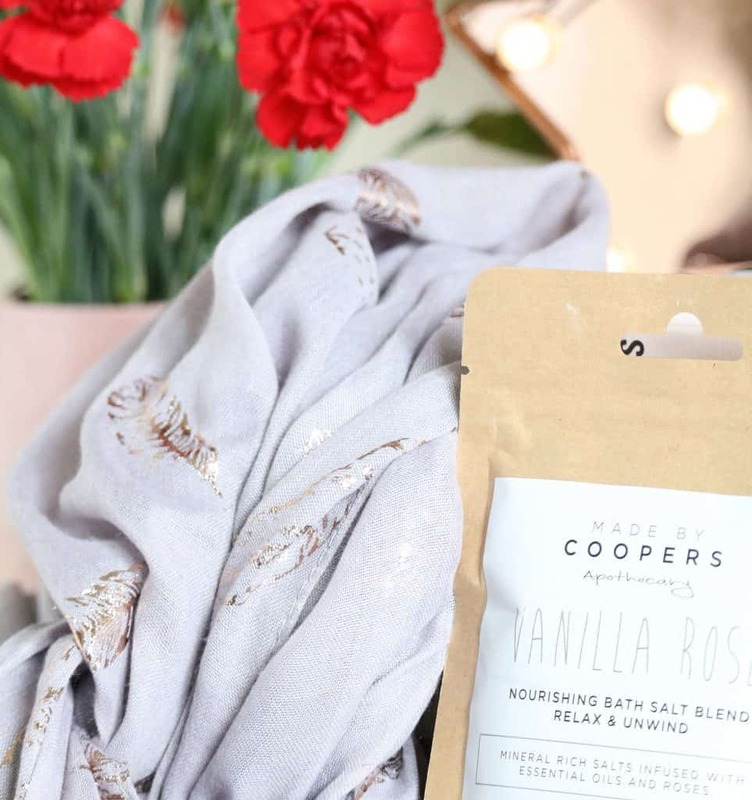 The beauty item from the May Treatbox is the Made By Cooper Vanilla Rose Bath Salts Blend. 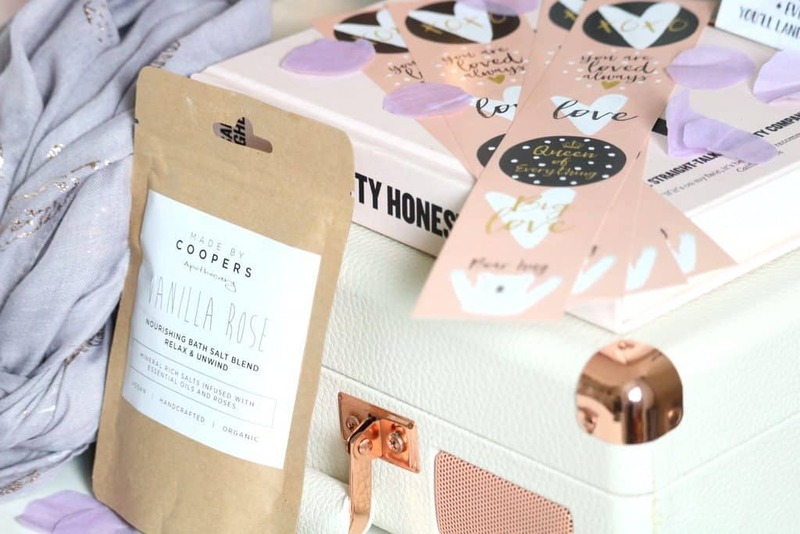 It contains organic, vegan ingredients and the product is handmade in the UK. I don’t use bath salt very often but when I do I love them even though they’re not as exciting as bath bombs! These bath salts smell so lovely and I can’t wait to use them as part of a pampering evening. Last but not least, the final two items are adorable accessories; the first being a gorgeous and spring appropriate dove grey scarf which features metallic rose gold/copper feathers on it. I love the design and the scarf is so soft and lightweight! The final accessory in the May Treatbox is a crescent moon and star necklace which is composed of gold plated metal. I love how cute and delicate the necklace is which definitely suits my personal style. It comes beautifully packaged so it would make a lovely gift. Overall, I definitely think that this is the best Treatbox I've received so far! 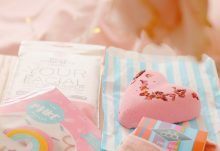 I love the two gorgeous wearable accessories as well as the bath salts and the adorable stickers included in the May Treatbox.